Robert Greacen was born in 1920 in Derry. His parents’ marriage was troubled by his father’s drinking and subsequent business failures. The young Greacen therefore spent much time with his maternal grandmother and aunts, his aunt Tillie McCrea in particular taking the place of his mother. During his childhood and early schooling he moved from Derry to Belfast to Monaghan before returning to Belfast and entering Methodist College, Belfast. His aunt Tillie paid for his education while he again lived with his aunts. His relationship with his father was never a good one and this had some impact on his schooling. Even so, he started to write poems for school magazines and after some failed efforts to get work he went to Queen’s University, Belfast, to study English and History. At Queen’s he met John Boyd with whom he shared both literary interests and left-wing ideas. Other friendships which began at this time included Roy McFadden, John Hewitt and Sam Hanna Bell. McFadden and Greacen worked on ‘The Northman’, a Queen’s student magazine which they attempted to turn into a literary journal which could lead to a revival in Northern writing. Greacen had already co-edited ‘Lyra: an Anthology of New Lyric’ (1942) with Alex Comfort and would edit ‘Northern Harvest’ (1944). Greacen’s own work was appearing in ‘The Bell’, then Ireland’s leading journal, and the ‘Irish Democrat’, a left-wing newspaper. He published his first collection, ‘One Recent Evening’, in 1944. By this time, his unrequited love for a fellow student called Irene had led to him dropping out of Queen’s without a degree. (His 1969 autobiography was called ‘Even without Irene’.) In 1943 he moved to Dublin where he took a diploma in social work at Trinity and immersed himself in the city’s literary life, again making many literary friendships with, among others, the Behans, Arland Ussher and Hubert Butler. In 1946 he married the writer Patricia Hutchins who would go on to write early books about James Joyce and other modernist writers. Greacen’s anthologizing reached a peak when he and Valentin Iremonger were commissioned to edit the ‘Faber Book of Contemporary Irish Poetry’ (1949). Greacen, like a number of his friends, felt affinities with the ‘new apocalypse’ movement in England so when his second volume, ‘The Undying Day’ (1948) was deemed a failure he moved to London. Initially he had a post with the United Nations Association, but for most of his life he worked as an adult education and creative writing tutor and taught English as a foreign language. He also reviewed for many journals and magazines. 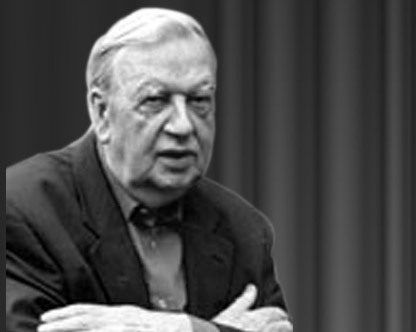 Once more he made a number of literary friendships, including that with Derek Stanford. Muriel Spark helped him to get the commission for ‘The Art of Noel Coward’ (1953) and he also wrote a work about C.P. Snow (1962). During the 1950s and 1960s he wrote little poetry partly as a result of depression. The cure for this involved a course of LSD treatments under psychiatric supervision in the early 1960s and this enabled him to write his autobiography, first published in 1969 as ‘Even Without Irene’. A revised and expanded version appeared in 1997 as ‘The Sash My Father Wore’. In the 1970s he began to develop the persona of Captain Fox, a supposedly sophisticated adventurer and man of the world which resulted in ‘A Garland for Captain Fox’ (1975). Fox returned in a number of the other volumes that Greacen now began to write with regularity: ‘Young Mr Gibbon’ (1979), ‘A Bright Mask’ (1985), ‘Carnival at the River’ (1990), ‘Protestant without a Horse’ (1997), ‘Captain Fox: A Life’ (2000), ‘Lunch at the Ivy’ (2002), ‘Shelley Plain’ (2002), and ‘Selected and new poems’ (2006). This late flowering resulted in his election to membership of Aosdána in 1986, and the award of the Irish Times Literature Prize for poetry for his ‘Collected Poems 1944–1994’ (1995). By 1986 he had returned to Dublin where he wrote ‘Brief Encounters’ (1991), a memoir of literary life in Belfast and Dublin in the 1940s, and ‘Rooted in Ulster: Nine Northern Writers’ (2000). He died in Dublin in 2008.